The jazz heads who never miss a beat were there. So were the students who came out to enjoy — and play — this classical American music. 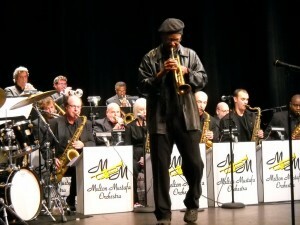 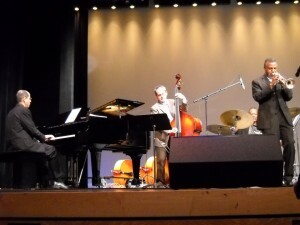 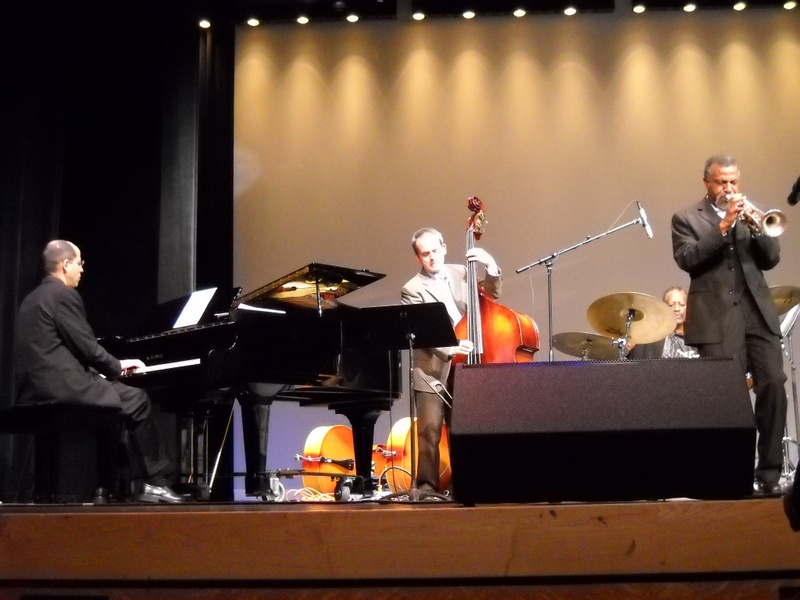 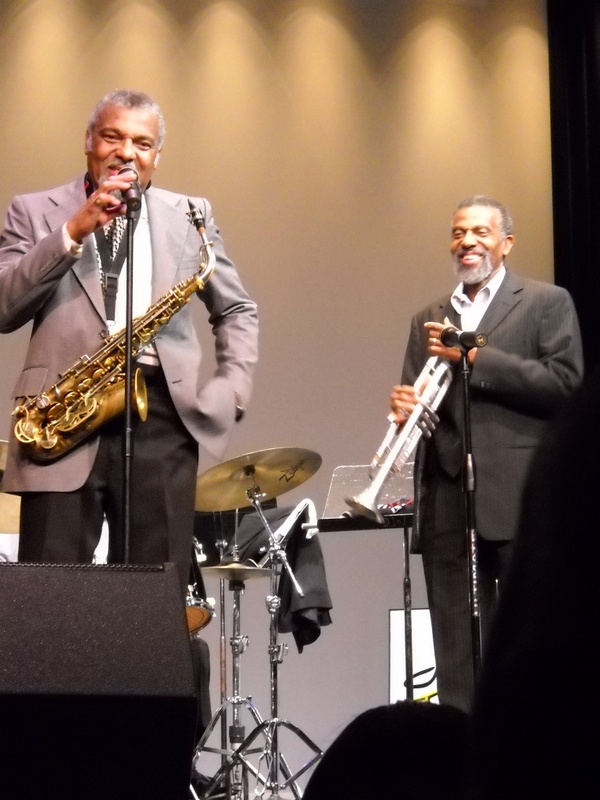 The Palm Beach Arts Paper just posted my feature on the 14th annual Melton Mustafa Jazz Festival. 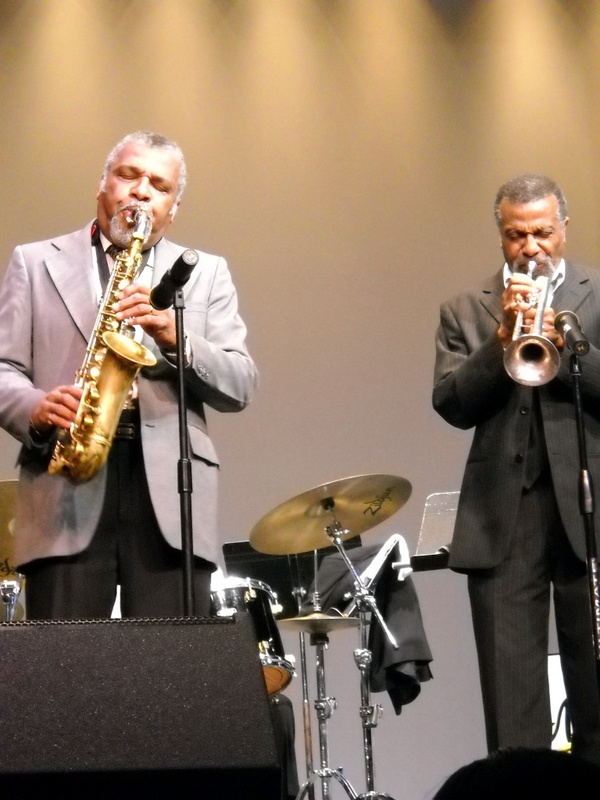 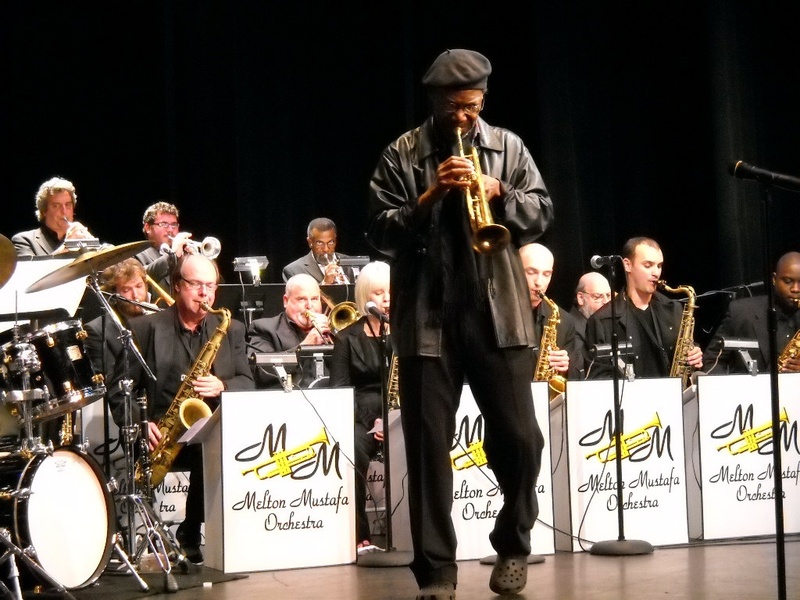 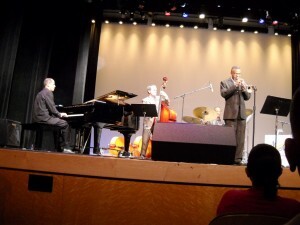 Melton Mustafa on trumpet leads the master quartet featuring pianist Edward Simon, bassist Ed Howard and drummer Victor Lewis. 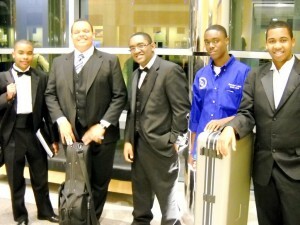 Dillard Performing Arts High School Jazz Band members (L-R): Markus Howell, Anthony Burrell, Patrick Bartley, Brandon Lubin and Russell Hall. 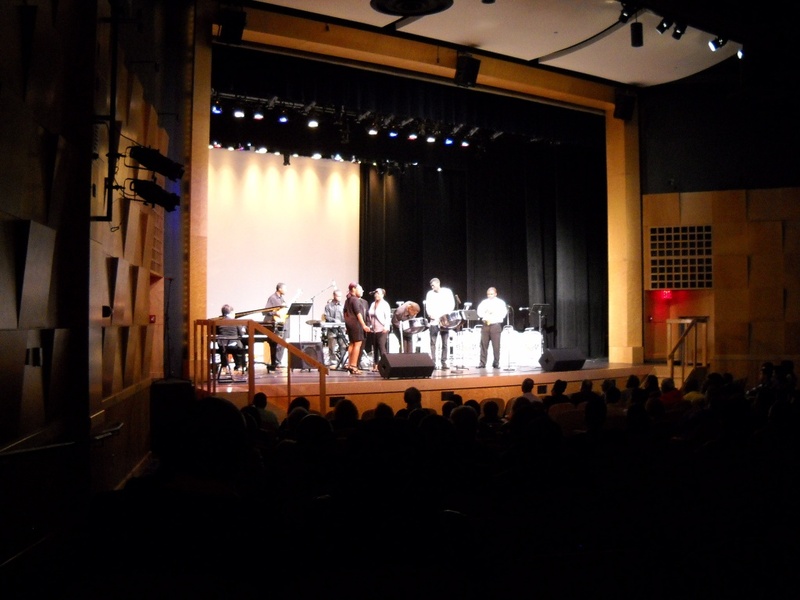 Take a look, and while there, take a look around the ArtsPaper. 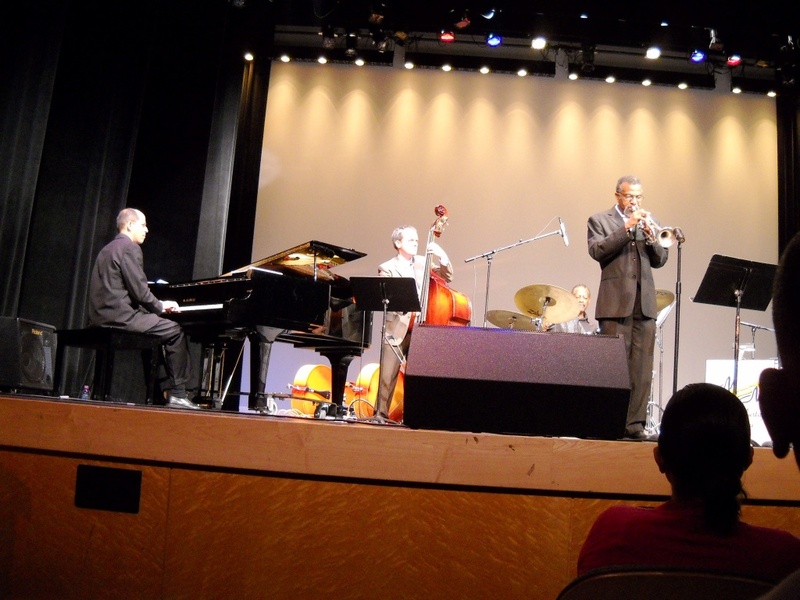 Thanks to some of my former Palm Beach Post colleagues, among others, there’s no finer South Florida arts information source. 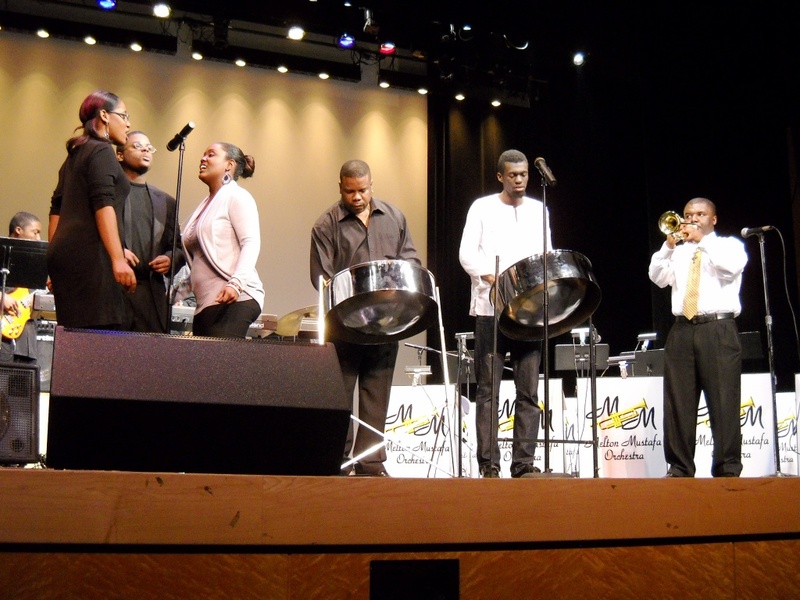 Oh, and that jewel of a jazz festival at Florida Memorial University’s Lou Rawls Performing Arts Center? 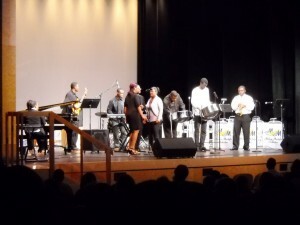 It’s always a warm and electic scene; hip jazz students sharing space with forever hip jazz veterans amidst eight-to-80s family members. 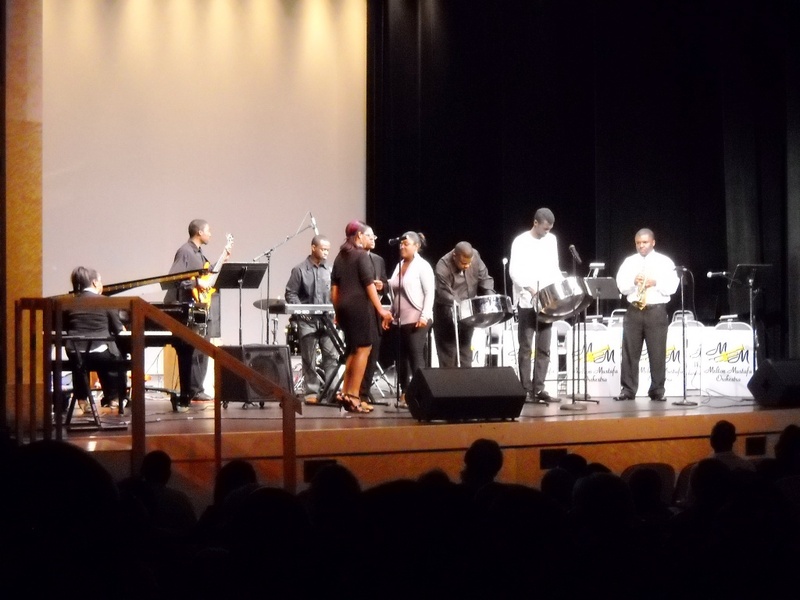 This year, from the Dillard Performing Arts High School Jazz Band’s first tune, the audience again was aglow. 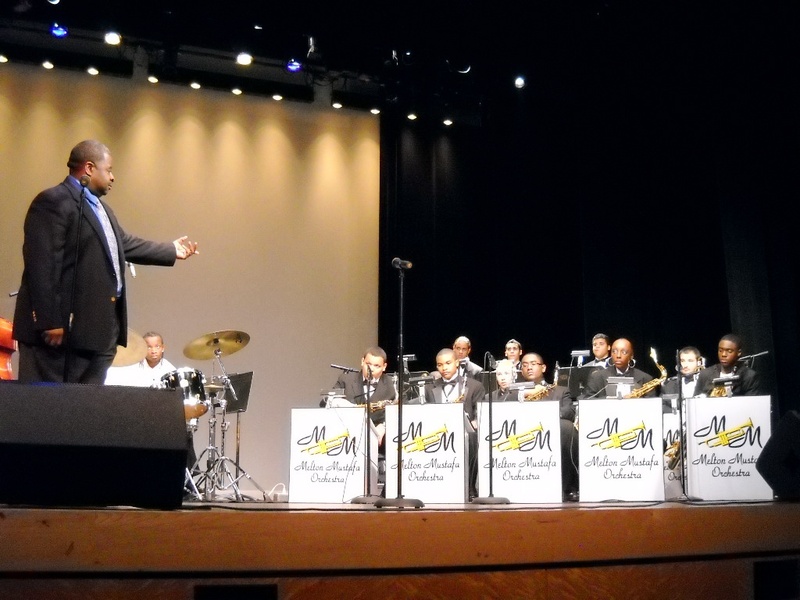 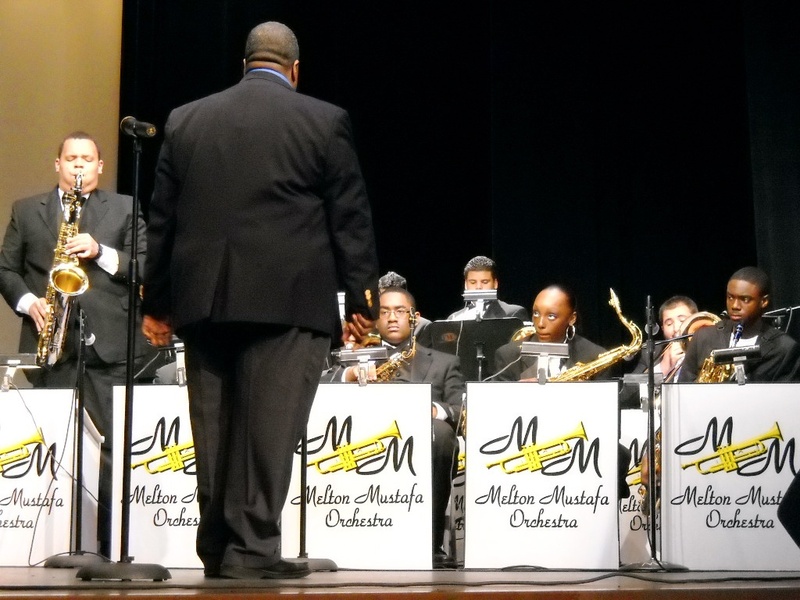 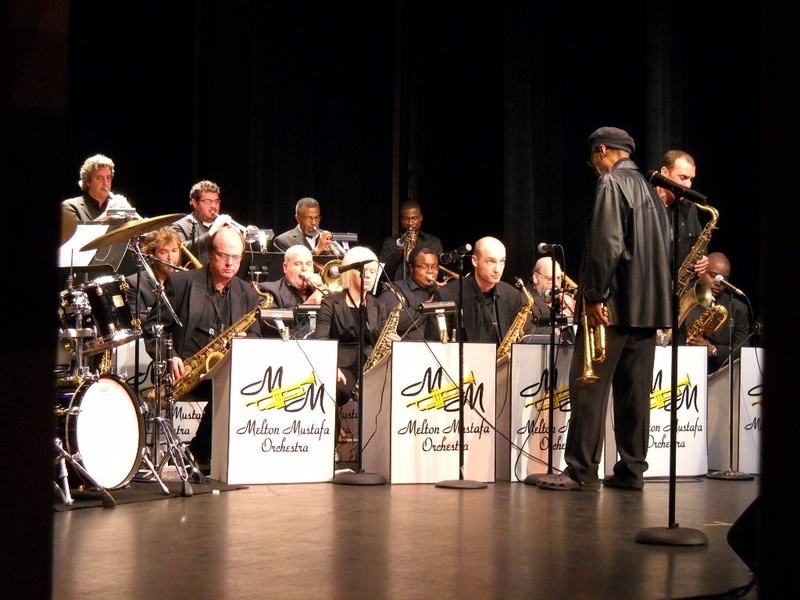 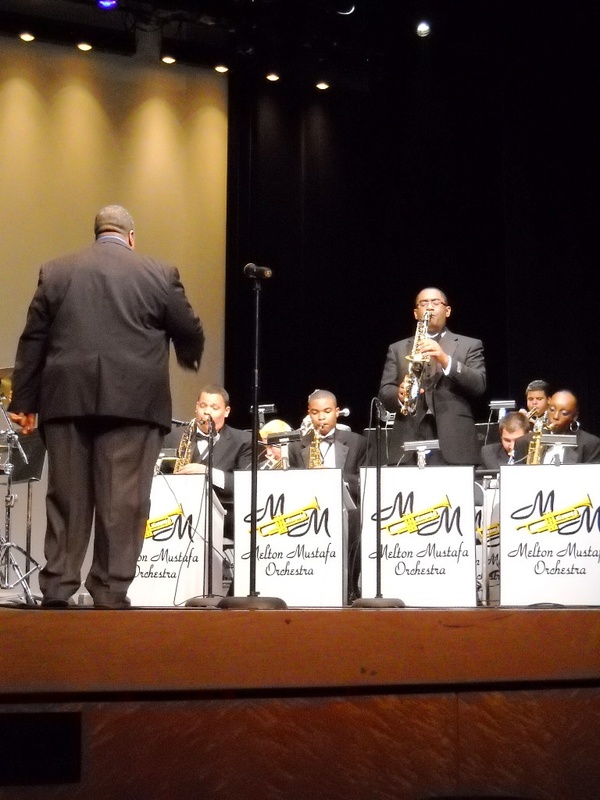 Credit the Miami Gardens university, and its accomplished yet unassuming director of jazz studies, Mustafa, for this long-running South Florida institution, that features pure jazz’s greatest names of today, and the future. Anthony Burrell solos for the crowd and Dillard band Director Christopher Dorsey. 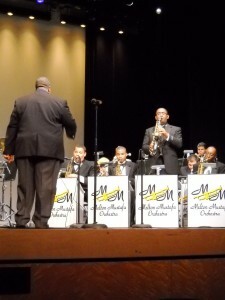 Dillard's Patrick Bartley on the solo. 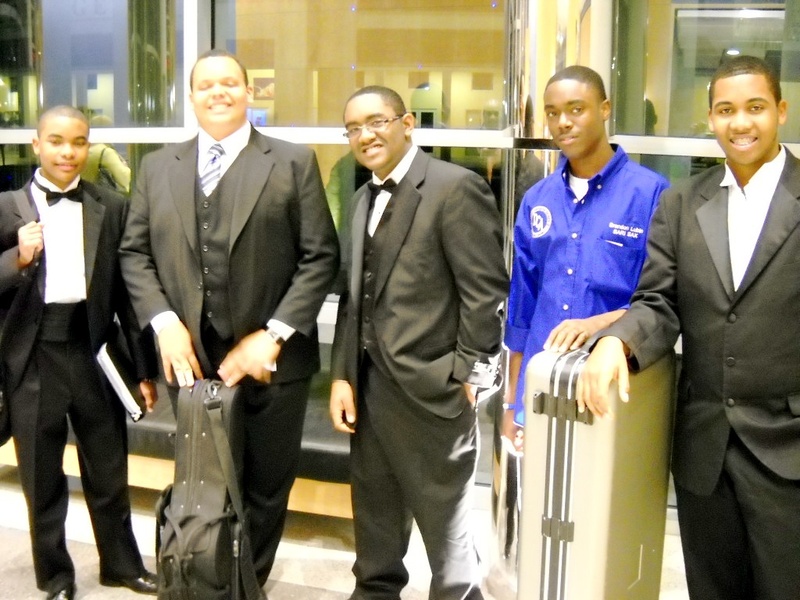 The look of students who are serious about the music. ...made the smiles fill the room. 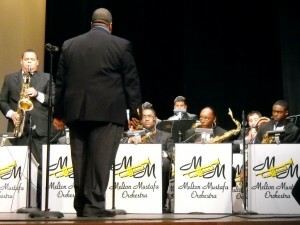 ...and directing the big band that featured two Mustafa family artists. 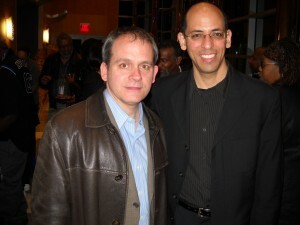 Bassist Ed Howard (L) and pianist Edward Simon. 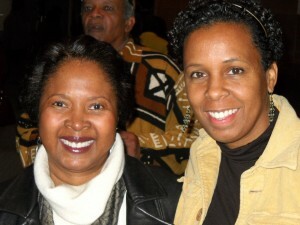 Brenda Rivers (L), a regular at the festival, and Yolanda English, back for her second year.